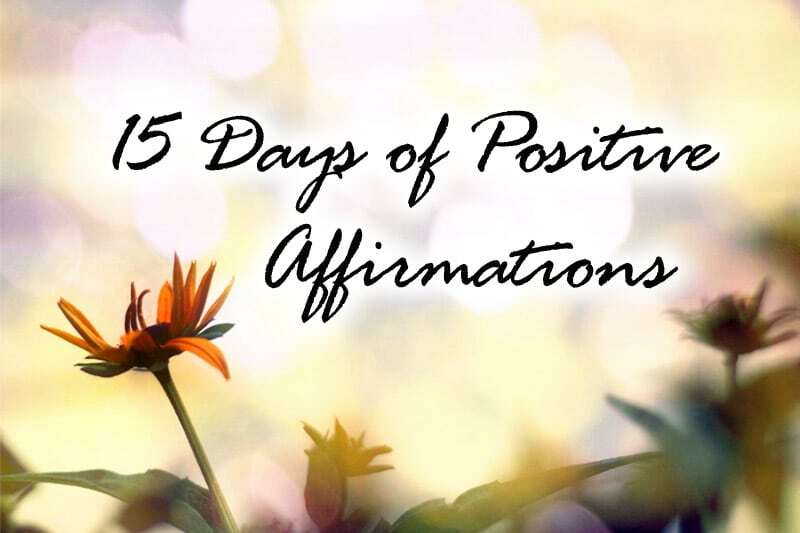 This is Day 7 of the 15-Day Affirmation Challenge where hundreds of participants around the world gather to practice positive affirmations for 15 days in July 2014. The challenge is now over, but you can do the tasks in your own time. Visit the overview page for all Affirmation Challenge tasks and posts. Affirmation Challenge announcement and signup details: 15-Day Affirmation Challenge | 440 Participants! Since there were no opportunities in this domain, I then thought about seeking out a societal cause, since it’s within the scope of helping people too. I brainstormed on local non-profit organizations with socially responsible causes which I could join. I checked out the United Nations website to look for job opportunities. I expanded my search to international non-profit career portals and scouted for opportunities in NGOs, social enterprises and the like. It even got to the stage where I was willing to relocate myself overseas, using my own money, and work for any worthy enterprise that matched my purpose. Bear in mind that in deciding to switch to a different field, particularly non-profit, I was prepared to get a pay cut of 50% (or even more), since such fields simply don’t offer the same competitive benefits as a career in brand management or consulting would (of which the former was what I was doing). It took me a while before I felt that something was amiss. Why am I trying to compromise on my own desires? I thought. Why am I limiting myself based on what’s out there? I realized that I was simply boxing myself based on what I was seeing before me, and then I should no sooner break free of this mindset. I then got to work and identified my ideal vision for the pursuit of my passion, which includes being able to touch millions of lives around the world, using an arsenal of mediums to spread my message of growth, being location-free to do whatever I want, wherever I want, and earning more money than whatever I was earning before. I then sent in my resignation letter, created my game plan based on this vision, and got to work. The rest is history. My reason for sharing this story is that the switching point that helped me to be where I am today is when I realized that there are literally opportunities everywhere in this world, and it’s up to me to create them and make things happen. While I was already a proactive person before (or I wouldn’t be thinking about how to pursue my passion and seeking related opportunities while having a lucrative job), I was still boxing myself in based on opportunities out there and trying to limit myself to these opportunities before me. 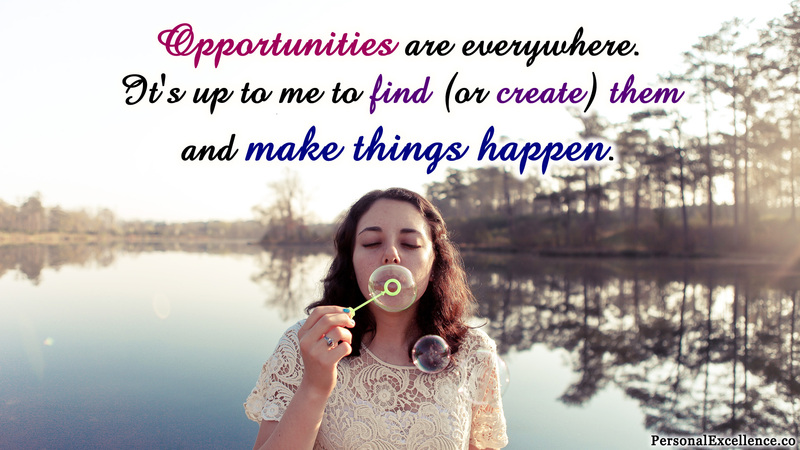 It was only when I realized that opportunities are everywhere and the onus is on me to figure out what exactly I want and make them happen. Because the universe ain’t gonna hand the good stuff to people on a platter. The universe makes the good stuff — from the ideal relationship, to the ideal job, to the ideal friendships, to financial abundance, to the perfect health, etc. — difficult to obtain so that the people who really want it, the people who really deserve it, will find a way to make them happen. Today, your task is to identify an area where you’ve been feeling blocked in and create the opportunity to succeed in it! Romantic relationships: Open myself to singles events. Join more social activities and meetups which are opportunities to meet new people. Explore online dating. Take action on what you’ve written in Step #2! Create specific action steps and commit them to your calendar. Remember, there’s no point planning without taking action, and there’s only so much I can do via the daily affirmation tasks. The onus is now on you to take action on them! Say today’s affirmation. Close your eyes. For the next 10 to 15 seconds, imagine your ideal vision for this area where you feel felt blocked. Now, visualize yourself breaking through the obstacle(s) and paving the way to realize your ideal vision. Visualize yourself CREATING A PATH, WHERE THE PATH DIDN’T EXIST BEFORE, TO MAKE YOUR VISION COME TO LIFE. CONTINUE THIS VISUALIZATION FOR AS LONG AS YOU DESIRE, until the vision is fully etched in your mind. For more on how I paved the way to make my passion happen when there wasn’t any (immediate) way to do so, read: Passion or Money? Once you’re done, proceed to Affirmation Challenge Week 1 Review and Catchup!